The first school at Beechworth was a school opened in the Wesleyan chapel in January 1855. 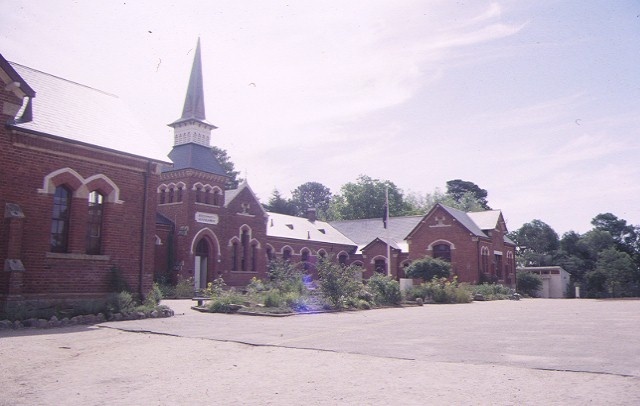 A small Church of England school opened in 1856 later to become Beechworth Grammar School. A new national school opened in Loch Street in November 1858 and this became Common School No.36 after 1862. A new brick building designed by Thomas Dalziel was constructed in Loch Street for the school. This building later became the Ovens Advertiser office. The school was re-named the Beechworth Academy before being taken over by the Education Department in 1873. Gold was discovered at Beechworth in March 1852 and set off a rush to the Ovens district. Mining continued in this district until the decline in quartz mining in the 1920s. Because of the location of courts, gaol, hospital, benevolent asylum and lunatic asylum at Beechworth, the town remained an important centre for the north-east. The Beechworth Primary School No.1560 moved into a new building on the Sydney Road end of the Botanic Reserve. The school was constructed in 1875 according to a design first used for the Competition School at Errol Street North Melbourne. This school was designed by Wharton and Vickers and was the prototype for five other schools. The architect for this school was Henry Bastow. The tower has been altered but the building is otherwise intact. Beechworth Primary School is a single storey polychrome brick building with decorative plaster mouldings around the windows and doors. The arched window openings are grouped in twos or threes. The bicycle shed in the school grounds c.1920 is in timber with a corrugated iron roof. A shelter with lattice work and exposed roof trusses c.1920s is also in the grounds. A pine plantation on the site was established by the school children and added to each year, until 1938, when it was fully planted. 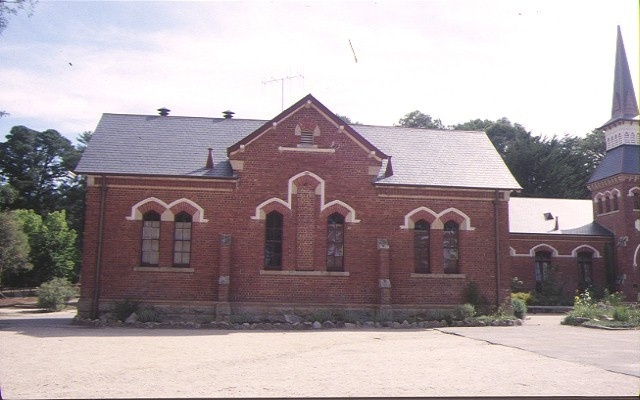 Beechworth Primary School No.1560 is of social, historical and architectural significance to the State of Victoria. Beechworth Primary School No.1560 is of social and historical importance as it represents a boom period in Beechworth's history. 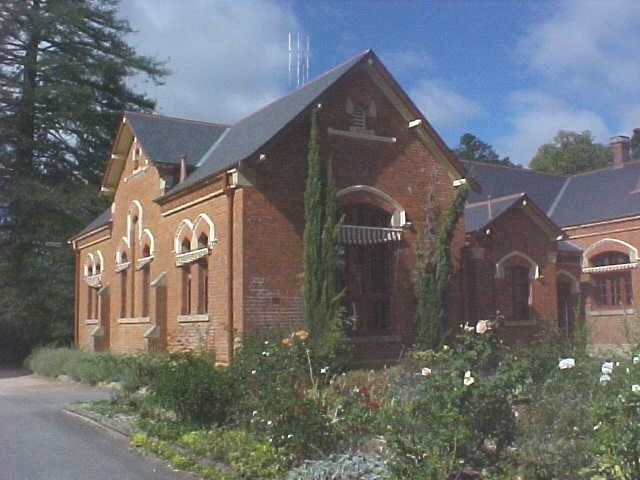 The Beechworth Primary School reflects the period of the establishment of large Education Department schools around the State and the growth of Beechworth from a goldfields town in the 1850s to a town whose economy was based on the establishment of courts, prison and mental hospital as the administrative centre of the north east of Victoria. Beechworth Primary School No.1560 is of architectural significance as a particularly intact example of a Competition Derived School constructed in 1875. It retains much of its form and decoration and demonstrates skilled craftsmanship in its execution with polychrome brickwork and plaster mouldings. The timber bike shed is a rare example of an ancillary school structure, at one time characteristic of country schools. 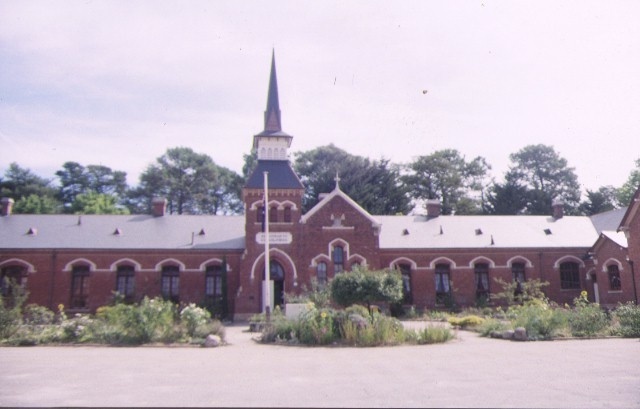 The school sits on a picturesque site, consisting of pines planted by the school children up until the late 1930s. Beechworth Primary School No. 1560, Junction Road, Beechworth, Indigo Shire Council. 1. 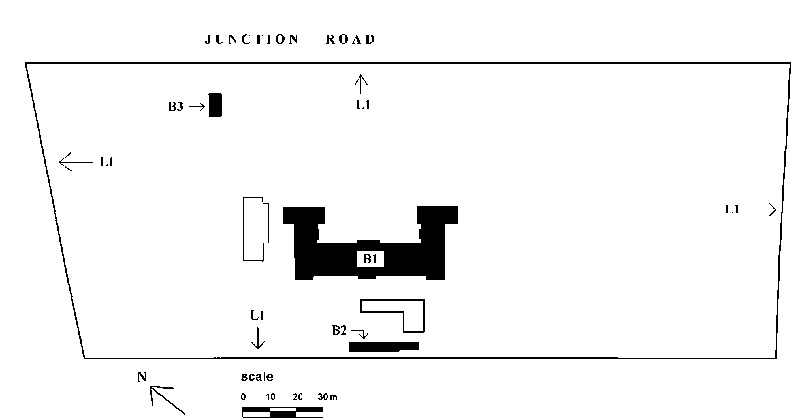 To the extent of the buildings marked B-1, B-2 and B-3 on diagram 602115 held by the Executive Director. 2. To the extent of the land marked L-1 on diagram 602115 held by the Executive Director, being part of the land described as Reserve 6182 page 2254 Section 23 Crown Allotments 5 and 6, Township of Beechworth. The Errol Street North Melbourne Primary School No. 1402 was one of the schools resulting from an architectural competition commissioned by the Education Department in 1873. Thirteen schools were built between 1874 and 1881 as a result of the competition in which local architects were asked to design large schools. There were three kinds of school required in the competition. One was for one thousand children on one floor, another for one thousand children on two floors and one for five hundred children. All the successful architects as well as the adjudicators, Leonard Terry and Charles Webb were given commissions. This school was designed by Wharton and Vickers and was the prototype for five other schools. The Wharton and Vickers design for Errol Street, North Melbourne was used by Henry Bastow for the Beechworth school. Bastow, Henry Robert (1839- 1920 ) was born on 3 May 1839. He migrated to Australia from Bridport, Dorset. He practised as an architect and surveyor in Tasmania in 1863 and is known to have designed the Union Chapel in Hobart. He took up an appointment with the Victorian Public Service on 30 April 1866, working as a draughtsman for the Victorian Water Supply and later as an architect and civil engineer for the Railway Department. In 1873 he was appointed to the Education Department as head of the architecture branch. The introduction of free compulsory and secular education in Victoria in 1872 led to a wave of building of schools all over the state. As the architect in charge of the provision of school buildings, Henry Bastow left a huge legacy to the State in the form of hundreds of schools of every type and size. Bastow was attached to the Education Department from 1873 to 1883 when he and his staff were transferred to the Public Works Department as part of the State Schools Division. By 1885 he was Senior Architect. He then had responsibility for "the design and execution of all architectural works". Bastow supervised the design of the new Crown Law Offices in Lonsdale Street in 1892. He was retrenched on 30 April 1894, when reductions in the public service were made during the economic depression. He worked as an orchardist at Harcourt until his death on 30 September 1920. The first school at Beechworth was a school opened in the Wesleyan chapel in January 1855. 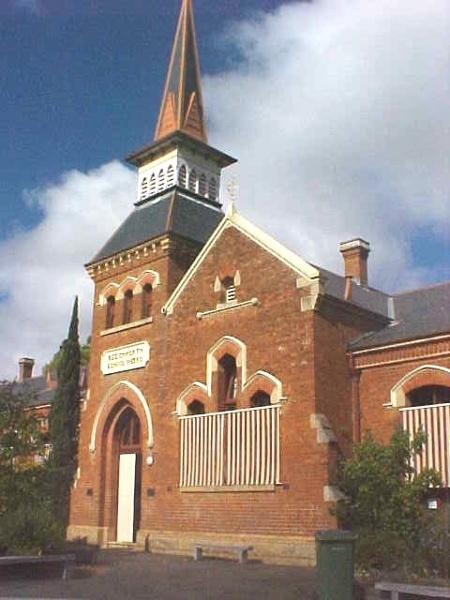 A small Church of England school opened in 1856 later to become Beechworth Grammar School. A new national school opened in Loch Street in November 1858 and this became Common School No. 36 after 1862. A new brick building designed by Thomas Dalziel was constructed in Loch Street for the school. This building later became the Ovens Advertiser office. The school was re-named the Beechworth Academy before being taken over by the Education Department in 1873. The Beechworth Primary School No. 1560 moved into a new building on the Sydney Road end of the Botanic Reserve. The school was constructed in 1875 according to a design first used for the Competition School at Errol Street North Melbourne. It had at its peak over 1000 students but by 1890, enrolments had declined to 304. The tower has been altered but it is otherwise intact. A freestanding cookery centre was constructed in timber in 1910. A room on the south-west side of the school was used as a Sloyd Room. The school was proclaimed a Higher Elementary School in 1912. The school was remodelled in 1920, lengthening some windows and altering others. The window to the science room on the front elevation was altered to a square-headed window with concrete lintel. The tower was removed in the late 1940s after a number of slates fell from the roof. A smaller fleche was installed in 1950 after protests from the School Committee. The replacement is out of scale for the building. The Higher Elementary School was raised to a High School in 1959 and moved to a new, purpose-built building in Sydney Road in 1962. The rooms formerly occupied by the H.E.S. then reverted to the Primary School. The roof was repaired and re-slated in 1968. In 1971 the building was re-floored. A pine plantation on the site was established by the school children until 1938, and fully planted subsequently. The school was a teacher training centre. Pupil teachers attended evening classes conducted by the head teacher and assisted in the school during the day. The Education Department paid for their board and lodging. 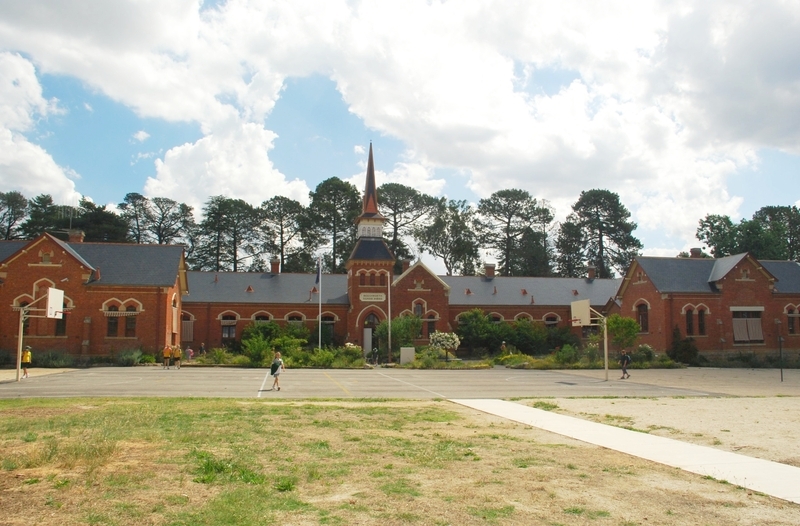 The Beechworth Primary School reflects the period of the establishment of large Education Department schools around the State and the growth of Beechworth from a goldfields town in the 1850s to a town whose economy was based on the establishment of courts, prison and mental hospital as the administrative centre of the north east of Victoria. It was an early teacher training centre. The Beechworth Primary School is a particularly intact example of a Competition Derived School constructed in 1875 and retains much of its form and decoration. It demonstrates skilled craftsmanship in its execution. The bike shed is a rare example of an ancillary school structure.